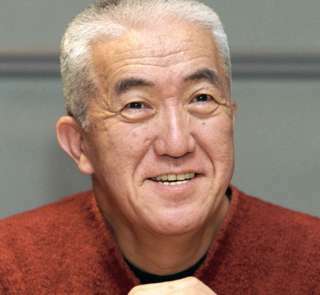 Prominent Japanese lyricist Rokusuke Ei has died at the age of 83. The composer of Chinese descent was best known for his work on the 1963 worldwide smash hit Sukiyaki, which protested against continued US military presence. The song was released in 1961 and topped the US Billboard charts, selling more than 13m copies worldwide. Relatives said Mr Ei suffered from Parkinson's disease and prostate cancer and died peacefully at home. An established author and radio broadcaster, Mr Ei published several books, including a novel about death and illness which sold more than 20m copies. Fans in Japan paid tribute to the late star on Twitter, with many expressing their sympathy by remembering his iconic works. "From early on, he had a great success in Japan's electrical wave media and music industry," reminisced radio personality Jon Kabira . "While it's sad to see my great mentor depart, it has a sobering effect on me." Other users shared lyrics and links to his songs.